His Excellency Dr. Mamdouh Rifai, President of the Arab customs union, signed a joint cooperation agreement with Prof. Amal Hassan Zaky, President of the Union of Arab Exporters and Importers, at the headquarters of the Arab Economic Unity Council in Dokki, within the framework of the Union's plan to support cooperation with Arab specialized unions to serve intra-trade and to achieve the desired goal of establishing a joint Arab market. 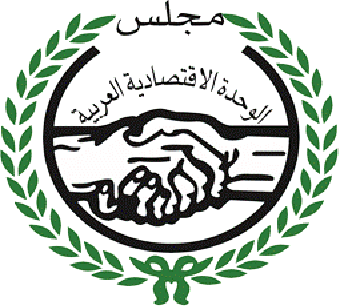 It is worth mentioning that one of the most important objectives of this agreement is to organize joint scientific meetings (conferences, seminars, workshops) on topics and issues of mutual interest between the union, cooperation and participation of both parties in exchange of experiences and drawing up future plans and visions, the matter leading to opening market easing trade exchange among Arabic countries, ideas presented by both parties to realize the aimed Arabic cooperation both on the economic and investment field. 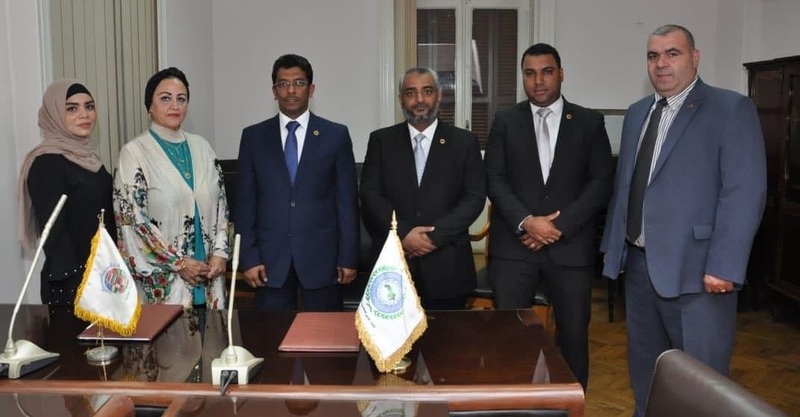 The signing of the agreement was attended by Dr. Mamdouh Rifai, President of the union, Mr. Taha Qulaisi, Vice President , Mr. Shadyoshar, Member of the General Assembly of the Union, Mr. Mohamed Fathy, Director of Public Relations, from exporters and importers union, Mrs. Amal Hassan Zaky, President of the Union, and Mrs. Rabab El-Morshedy, Secretary of the President of the Union of Arab Exporters and Importers.